The AUAT Exam 2019 is a National Level Entrance Exam conducted by the Aliah University. All the students required to register online for filling the application form. After the registration process is complete candidates are able to fill the other details and make payment for the application fee. Here we are mentioning some of the important dates regarding the admission form of the AUAT. The dates given here are the expected. We will provide the official date after it will release by the university. the AUAT Admission Date 2019 is as follows. 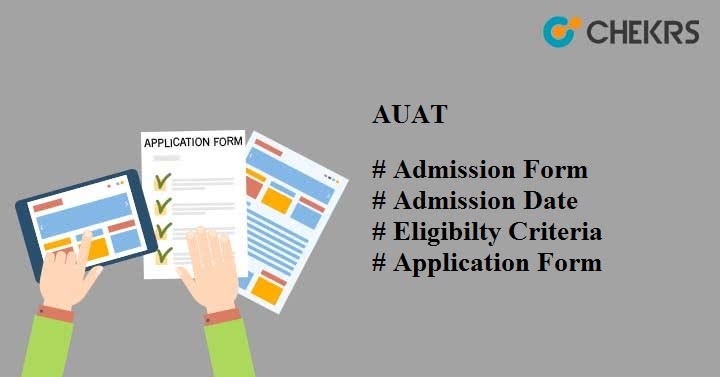 Those who are applying for the AUAT Exam 2019 must fulfill the eligibility criteria. So we are mentioning here table under which all the details regarding the eligibility criteria of the Aliah University is given. We are giving here entrance fees regarding the application form of the AUAT. The fee varies according to the courses and the gender of the candidate. The Aliah University Admission Fees is given below under the table. Upload the scan copy of photo and signature in a proper ratio and size which is asked. All the candidates should have the hall ticket and mark sheet of the qualifying exams. Candidate must ensure that they fill the correct application form with the complete mail address, Pin code etc which were asked. All the eligible candidates who successfully filled their examination form are able to download the AUAT Admit Card 2019 from the official portal of the university i.e. aliah.ac.in. The Admit Card will be available from the May 2nd week 2019. No hard copy will be sent to the candidate by post. After giving the exam many of the students are eager to know the answer which is marked by them. The candidate is required to know that they were able to know to check the AUAT 2019 Answer Key from the official portal of the university aliah.ac.in. With the help of the answer key, students are able to calculate their marks. The AUAT Result 2019 releases on the official website of the university aliah.ac.in. Mostly the university releases the result in the May last week for the UG courses and second week of July of the PG courses. The Result will be release on the basis of the marks secured by the candidate in the entrance exam. Those who clear the exam will receive the rank card which will be used in the counseling. Candidates whose name appeared in the merit list they have to register for the AUAT E Counselling 2019 on the official website of the university aliah.ac.in. In any of the case if the candidates are unable to attend the counseling then their fee will not be refunded.